Summer and snacking? HELL YEAH! We had a good heatwave in London this year (a little too warm for my liking!) 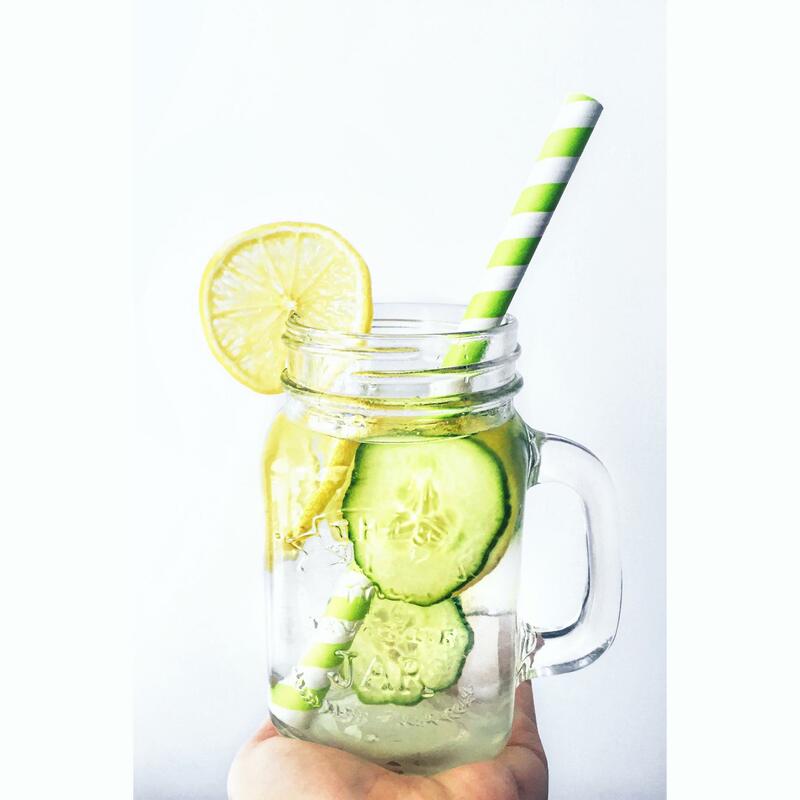 and summer is not quite finished yet for 2016 – so I thought I’d show you my favourite, refreshing and yes – vegan – summer treats! Now this is one for those who like it easy and simple! The magic lies in the banana, which tastes amazingly creamy from frozen and has an irresistable natural sweetness to it ! 1. Peel the banana and cut it in half. 2. Stick each half on a skewer and cover in melted chocolate. 3. Dribble over your decoration (optional). 4. Out the banana popsicles in a standing up position on a piece of aluminium foil and set them in the freezer. 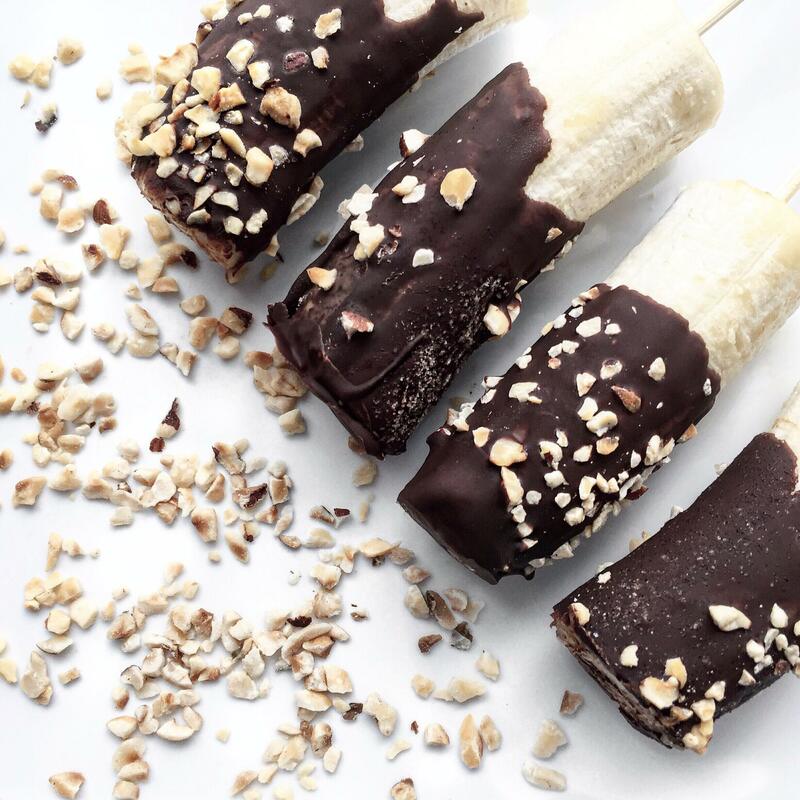 You can already enjoy your banana-sicles after 30 minutes – but you can also keep them in the freezer for a few days (even weeks!). If you do so, leave them out for 10 minutes first before eating. 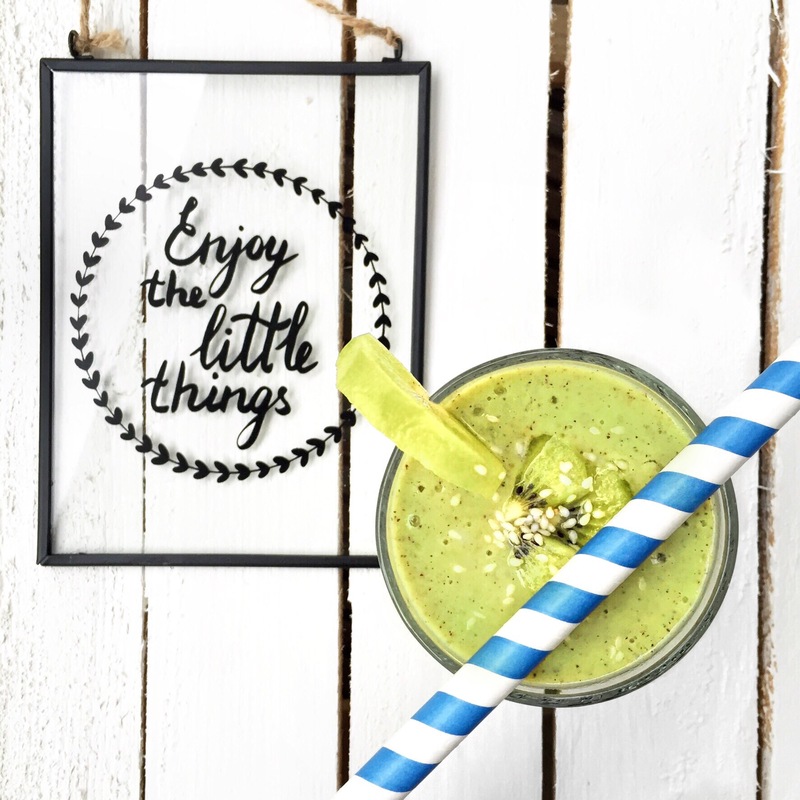 Kiwi kisses soy milk with this creamy and refreshing smoothie! I actually got the idea from a smoothie that Alpro had posted on their instagram and I had to try it out right away! 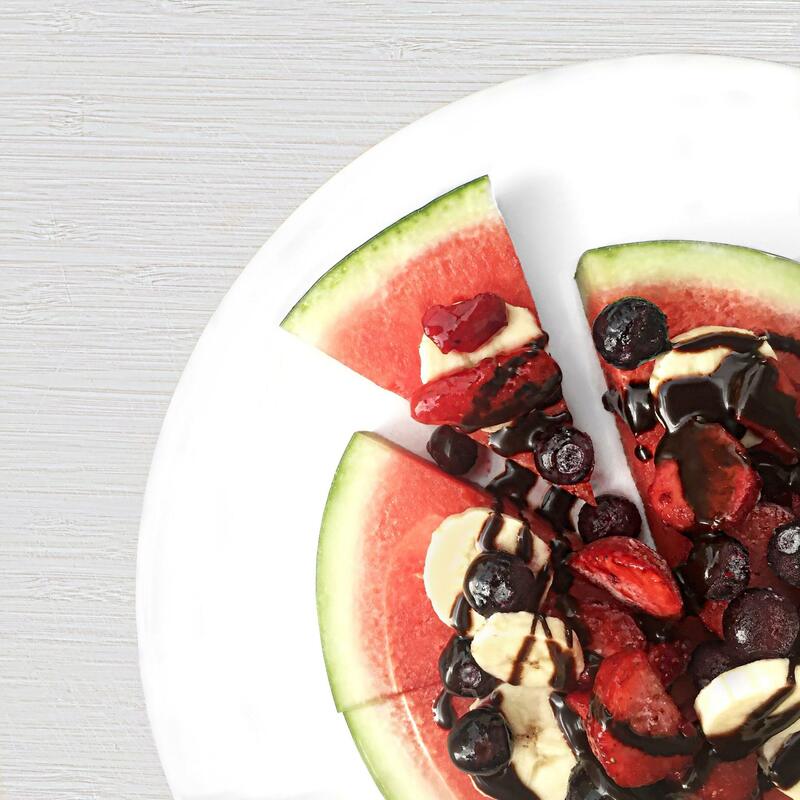 Let me introduce: Watermelon Pizza! And most importantly: STAY HYDRATED!